A highly adaptable help desk trouble ticket solution in Creative Social Intranet with a lot of metrics that allows to track and follow up efficiently. Identify Root Cause: Find out the root cause analysis of the problem. Approval/Execution: Get approvals or execute the plan, test plan in a small group if needed. Suggest Resolution: Assess the impact and plan out permanent or workaround. How a trouble ticket system it is beneficial to employees? Employees can submit tickets, track their submitted tickets, monitor ticket status and estimated completion timeline with Creative help desk ticketing application. Employees in charge of resolving the issue can notify on the intranet so that others can easily review previously submitted issued through the closed ticket search. 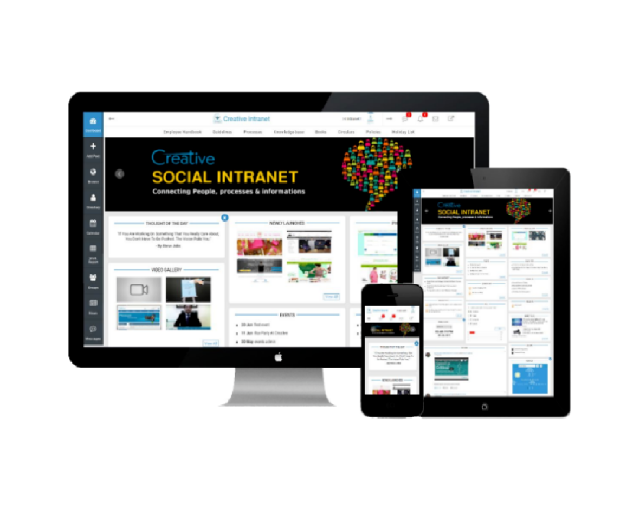 You can add alerts to your help desk ticketing application in Creative Social Intranet, such as systems down notices or scheduled maintenance notifications, to reduce the incoming calls to your IT Support desk. You can showcase your alerts right on the home page to ensure that all your employees see the notice, and add from and to display dates to scheduled maintenance alerts to automatically remove the notice after the maintenance time period has passed. With the help desk ticketing application employees can assign a help desk supervisor to monitor incoming tickets, mark their priority and allocate them to various support incharge, or have tickets assigned automatically. The ticket search area on our trouble ticket application in Creative Social Intranet makes it easy to look up new, pending, or closed tickets.